NEWS AUGUST 2018: The Earthquake(s) in the north of Lombok devastated the island – thousands of people are homeless, injured and many lost relatives. The South, and the area where the Pelita Foundation is located, fortunately has been safe so far and so the Pelita Foundation decided to set up a disaster relief programme to help others where needed. Obviously this challenging work needs your support & donations – please check their website & facebook for updates!! Pelita Foundation runs educational programs to empower the children of Lombok to reach their fullest potential. 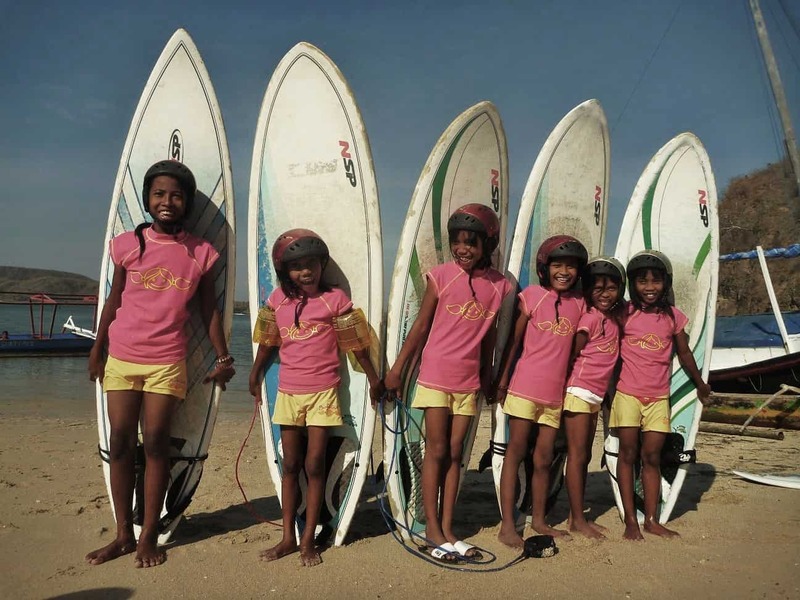 After living within the community for several years, Surfcamp Lombok co-founder Olle Sandström established in 2009 together with fellow Swede Karin Olofsson, a foundation with the aim of helping the local community advance through education. Through classes in English, Digital Literacy & Life Skills students learn to adapt to their rapidly-changing environment and to participate in the global community. Classes, which are free of charge and open to all children, are held during after-school hours and are designed to complement and support student´s formal education. As a teacher or teaching assistant for Pelita Foundation you will be holding or assisting in daily classes in English as a second language, as well as simple Digital Literacy and Life Skills lessons. You will work closely with the team of local and international teachers and volunteers. Only qualified teachers or teaching graduates are accepted, for a minimum period of 3 to 6 months. Additionally to the experience in teaching primary or secondary students, you need to feel comfortable with living and working in remote environments. A familiarity with iOS devices (using iPads, downloading and managing apps, etc) and excellent written and spoken English skills are necessary. Costs for accommodation, food and transport have to be borne by yourself (airport-transfer approx. US $15; accommodation depending on preference, from US $11 on; meals from US $3 on). For all type of surfers – experienced and beginner – Lombok has a lot to offer. As the Pelita Foundation was founded by the owner of the Surfcamp Lombok, and the Pelita school is located at the surfcamp, you have really easy access to rental gear, surfing-lessons & teachers, surf course-packages, boat trips, information about the spots, conditions and everything you need. Costs have to be borne by yourself. Lombok is a beautiful Indonesian island with a lot to offer: Volcano-Hiking, Waterfalls, Snorkeling & Diving, Yoga and beautiful beaches are only some of its many treasures. Not as touristy as Bali, but with a quite good infrastructure, you get everything you need. Gerupuk is a small fishing-village, located in the southeast of the island, really close to worldclass surfing and a twenty minutes motorbike-ride away from the bigger village Kuta, where you can find good restaurants, bars and supermarkets. You can reach Lombok by plane or by fastboat/ferry coming from Bali (more environmentally friendly); from the harbour or airport you can share/take a taxi to Kuta or Gerupuk. 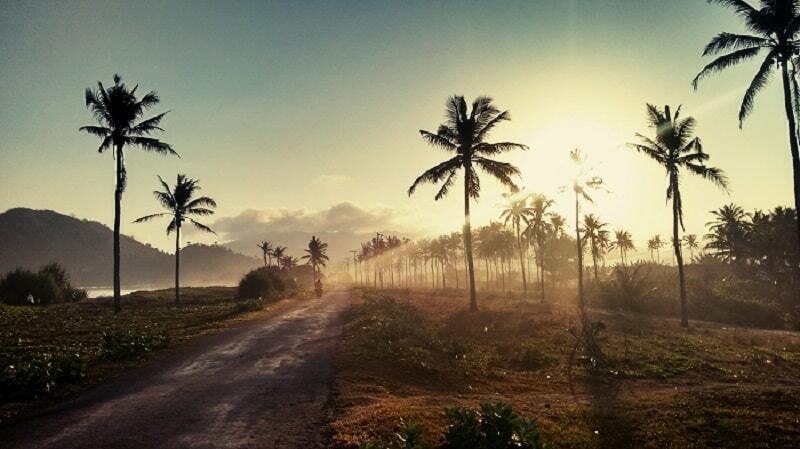 Rainy season on Lombok is between October and April. It can get crowded between May-August (high-season) and winds are more likely to affect surf conditions. Lombok is a muslim island and although locals are used to see tourists behaving “differently”, you should respect their culture and believes and be aware of how to dress or behave without offending them (e.g. don´t drive your bike in a bikini or drink in public excessively alcohol). For more information about the Pelita Foundation, please check their website. If you are interested in supporting the foundation while you are on holiday, we can recommend you our post about the Surf Camp Lombok. There you will find a lot of possibilities in how to support the foundation for a short time only.